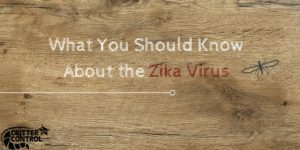 If you’ve seen the news in the past couple of months, chances are you’ve heard of the Zika virus. The explosive growth of the virus has attracted news coverage worldwide. Recently, the first cases of Zika have been identified in the US which means the time to educate yourself and be prepared is now. Contrary to how it may seem, Zika has been around for nearly 70 years. It originated in Uganda’s Zika Forest, and was only thought to affect monkeys. The virus only infected a tiny number of humans through the years and very little attention was given to treating the problem. Fast-forward to 2007 in Micronesia where the first large outbreak happened. Believed to be a mutation of the original virus, Zika spread through the Pacific islands until reaching Brazil in 2015 where the virus was labeled as a health epidemic. Most symptoms are mild and are very rarely fatal. For this reason, acetaminophen is a perfect remedy for most situations. The Zika virus runs its course over the span of about a week. The biggest threat posed by the virus is to pregnant women and their babies. The Zika virus is thought to be a cause of microcephaly in infants, which is a condition where the baby may have an unusually small head or stunted brain development either while in the womb, or shortly after birth. This lack of brain development often leads to hearing issues, slow developmental speed, or other intellectual issues. It’s strongly recommended that women who are pregnant or may become pregnant avoid countries or areas known to be affected by the Zika virus. Because Zika is most often transmitted through mosquitoes, it’s important to take care of any standing water around your home or property as this makes a perfect breeding ground for them. Wearing bug spray and mosquito-proof clothing is also highly recommended when going outdoors. If you have any questions about keeping mosquitoes at bay, call us today at 813.948.0870.